Summertime is a busy time of year—you’re always running around from place to place, whether it’s the beach, the mountains or BBQs, so you need the perfect sunglasses for all occasions. As a girl, not only do you want shades that are suited for all of your warm weather events, but you also want them to be fashion forward and fresh. 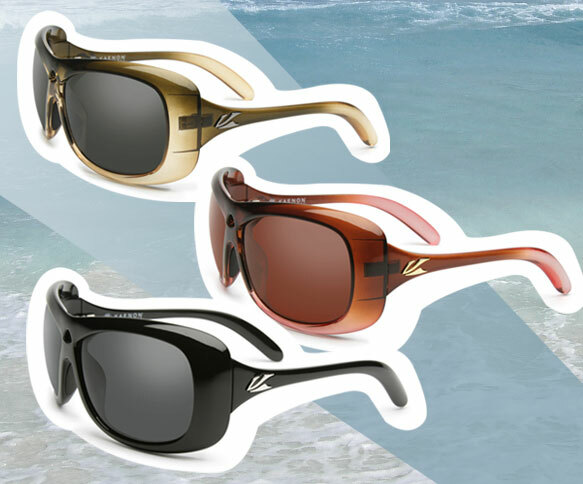 Rest assured sun goddesses, Kaenon Polarized had you in mind when they designed their new, all-girl lifestyle performance Squeeze shades. Kaenon zeroed in on the dimensions of a feminine face shape and specifically crafted the frame using slightly reduced cranial geometry to better fit petite, mid-sized faces. Judging by the finished look of these Squeeze shades, we’d say that Kaenon did a fabulous job making a stylish frame for both the style conscious and athletic lady. Take a peek at this summer’s essential frame in fun passion tea and smoky topaz colors.